012 - Ho Chi Minh City - Vietnam - 2014 - John Macs Travel & Photography. 012 - Ho Chi Minh City - Vietnam - 2014. This morning we visited The Vinh Trang Temple, Nguyen Trung Truc, My Tho, Vietnam. The gardens of this beautiful temple are decorated with many beautiful pot plants, making this a very colourful place to visit, and a beautiful setting for this temple. 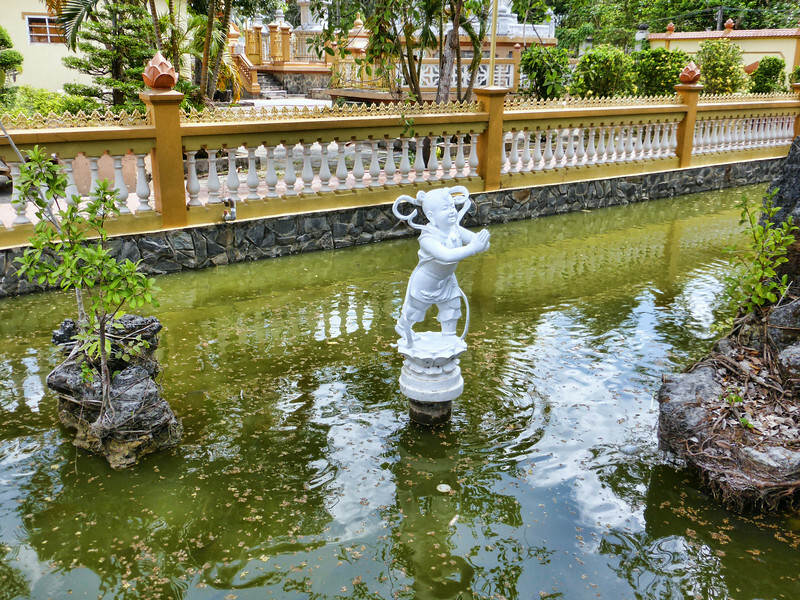 Vinh Trang Temple, Nguyen Trung Truc, My Tho, Vietnam. - 2014.